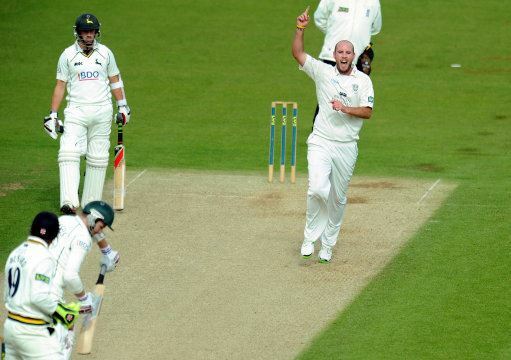 Durham swing bowler Chris Rushworth believes that Durham can do “something special” in the 2019 season. Rushworth admitted that he hasn’t been this “excited for a new season for a good few years now” and believes that the “fresh faces, new ideas and new opinions” can push Durham to success this year. During the winter off-season, there have been large scale changes behind the scenes at Durham. The club itself has undergone a rebrand whilst New Zealander James Franklin has been appointed as Lead High-Performance coach with Marcus North also arriving at the club as the new Director of Cricket. On the field, there have been a number of changes too with Cameron Bancroft arriving and being installed as new club captain as well as new arrivals Ben Raine, Ned Eckersley and some of the younger players being ready to take on a more major role in the first team this year. Rushworth is excited about these changes saying: “To have new faces come in and everything just kinds of freshens up, everyone gets the extra little bit of boost. It’s nice to see and it is exciting and I think everyone’s excited now. “Obviously you want to show the new people in charge just exactly what you can do and I’m sure the young lads are exactly the same. They want to put their names forward and perform.